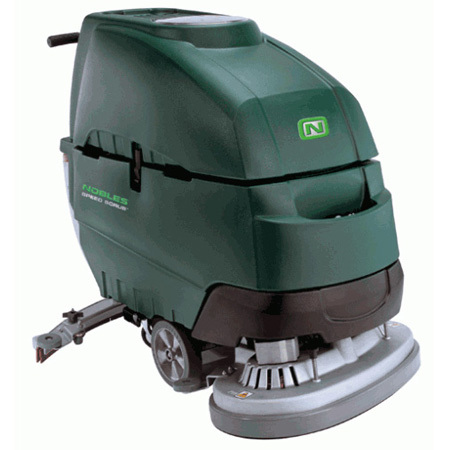 The Nobles SS5 is a battery powered walk behind floor scrubber. It features rugged, non-corroding cast aluminum scrub decks and squeegee frames. This machine is easy to use with simple one-button Quick-Train controls and no-tool squeegee replacement; making this unit ideal for all operator skill levels. The Nobles SS5 has a low noise level that provides the flexibility to use during all business hours and locations. This unit is equipped with FaST, Foam Scrubbing Technology, which means there is no chemical residue, less waste, and provides higher tractions which reduces the risk of skipping and falling.